If you are searching for a truly authentic Maui vacation rental, one that stands out for its first-class accommodations as well as its peace and tranquility, then allow us to introduce you to Hana Kai Maui. Located on the idyllic Hana Bay at Waikoloa Beach, Hana Kai Maui offers beautifully-appointed one- and two-bedroom Maui condo rentals in one of the last pristine rainforests in Hawaii. Its amazing location makes it ideal for adventure travelers, romantic getaways, wedding parties, families, or those looking to simply ‘get away from it all’. And all who pass through here will experience the true spirit of Aloha. Many of these lovely condos feature panoramic oceanfront views, and each unit comes equipped with a full kitchen, daily housekeeping service, and a private outside lanai to enjoy the Maui breezes. Best of all, the Hana area hosts not only some of Hawaii’s most beautiful beaches, but also the magnificent Haleakala National Park, loads of hiking adventures, horseback riding, freshwater caves, and more. Or, just relax and enjoy a rejuvenating in-room massage- it’s up to you. At Hana Kai the views of Hamoa Beach are exceptional. Stunning Views- Watch the Sun Rise! 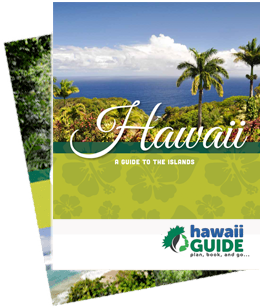 Consistently ranked among the most beautiful beaches in Hawaii. Haleakala's lush green wonderland is just a short 20 minute drive away. Culturally significant beach with ever-changing conditions. There are beaches, freshwater caves, and exploring galore at this lovely 120-acre park. The legendary Hana Highway is Maui’s top attraction with 617 hairpin curves, 56 one-lane bridges and amazing sights. This hotel shares space with nearby Hamoa Beach, so pampering yourself here is encouraged! The Spa at Travaasa Hana offers a wide variety of relaxing massages, facials, and body treatments. The Preserve Kitchen + Bar serves delicious fare featuring fresh, local, and organic ingredients. Just a five-minute ride into Hana but a journey back in time. Home to a historic courthouse still in use today! The Hasegawa General Store- Maui’s oldest family-owned business and a local treasure that carries all the essentials and then some. Hana Ranch Restaurant- Eat in or take out- but eating in offers great ocean views! This content is sponsored by Hana Kai Maui. Guide of US is a travel destination media and marketing company that receives compensation from companies or organizations whose products or services are promoted on this site. We review and evaluate the services of each company to ensure they meet our highest quality standards for travelers. We are independently owned and any opinions expressed herein are our own.